You wouldn’t think that facial hair could inhibit your diving experience, but it definitely can. 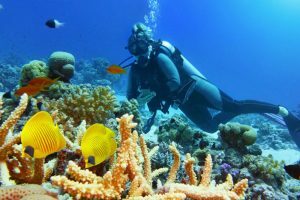 Having a beard, especially a long one, changes how the scuba mask fits around your face, which means you’ll have to account for the extra needed space. The problem is that you’ll need to either shave or find a mask that can accommodate your needs. Luckily for you, there are plenty of options on the market, even if they aren’t designed explicitly for facial hair. 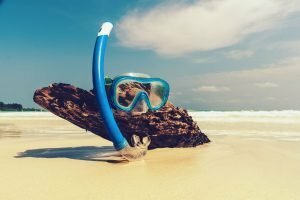 In this article, we will introduce you to one model to find out if it is the best scuba mask for beards. 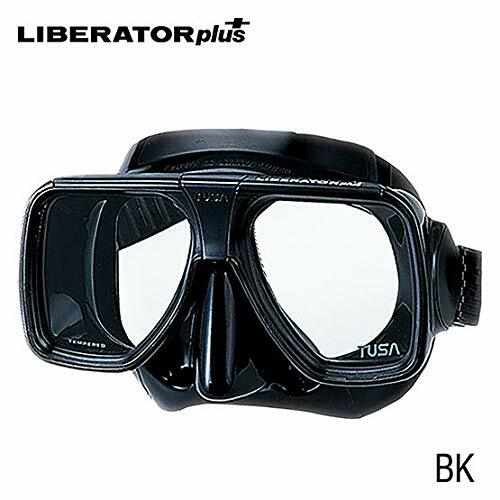 The Liberator Plus is an amazingly designed piece of scuba gear that is crafted for fitting any human face. The lenses, crystal silicone skirt, and other features are all designed to be protective but also fashion forward. This scuba mask has been designed for those who usually have a hard time finding one that would fit their face. Using advanced technology, the scuba mask has been tailored to use C.A.D or Computer Aided Design to create a design that will fit all face types. For unsurpassed levels of comfort, design, and fit, you can’t go wrong. Who else is this product suitable for? 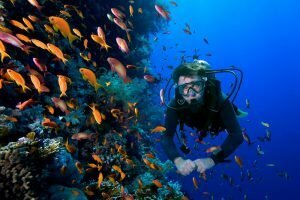 Well, scuba masks often have different sizes and shapes which limit it to a specific gender, age, or size. However, this mask is highly adjustable to face shape and size. 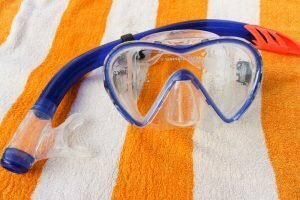 This ultimately removes the restrictions that standard scuba masks would have, making it an ideal fit for most people. It can also be an excellent choice for those who need corrective lenses. 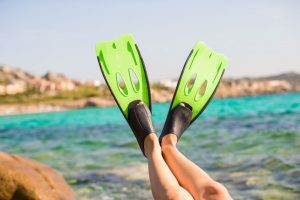 It’s almost nearly impossible to fit a scuba mask over the corrective lenses, and not everyone is comfortable with using lenses. It offers you the option to choose between different corrective lenses if needed with the MC-5000 version. However, you will need to contact the company directly. The package includes the TUSA TM-5700 Liberator Plus which comes in multiple color options. Since the mask fits most face shapes and molds pretty well, there’s only one size available. The weight of the mask comes in at around 13.6 ounces and comes with a pre-attached strap which is adjustable. The brand works hard to provide you with a design that gives you a full view of vision. TUSA masks have a wide lens and limit the amount of silicone edging to help prevent any vision loss. Looking at the design of the mask closely, it features a “two-window design,” where the lenses are wider than most. This paired with the fact that they are shaped to rest on your cheeks and above your brow bone ensures that the mask won’t cut your field of vision. To ensure that the mask keeps a low-volume design, the company has used crystal silicone skirts to help keep the mask in place. This material is known to help seal out water and prevents the mask from lifting or slipping when you’re using it. The double featured edge of the mask is also made from this material and provides a very tight fit, but not enough to be uncomfortable. 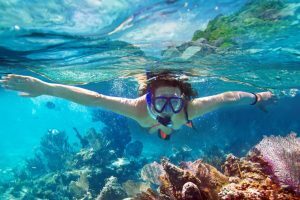 The edges of the mask will slightly dig into your skin, but because the edge is partially cupped inward, it is more comfortable than having a straight frame being pressed against your face, which is the standard for other scuba masks. One of the unique features of this brand is that they have the option to install corrective lenses. It’s not common for those who have corrective sight to use a mask over their glasses, as it can be dangerous and prevents the mask from doing its job. The corrective lenses enable you to use the goggles without contacts that can be irritating to the eye. This enables you to focus on the task at hand without having dry and itchy eyes from contacts. Plus, the company allows you to place two different lenses into the mask, ensuring that they have the correct power in each lens. The mask is relatively simple to adjust, which makes it hassle-free. The strap is made from strong elastic, which is thick enough that it doesn’t break. For even more stability, the sides of the strap loop around and is sewn into place. This helps ensure that the strap doesn’t come loose or that the stitching wears down over time. To adjust the strap, take the mask and place it onto your forehead. From there, put the strap around your head and pull onto the side adjustments. Adjust until the mask doesn’t fall off but isn’t too tight that it becomes uncomfortable to the touch. Do a test dunk in the water and shake your head back and forth. If the mask stays on, then you should be good to go. 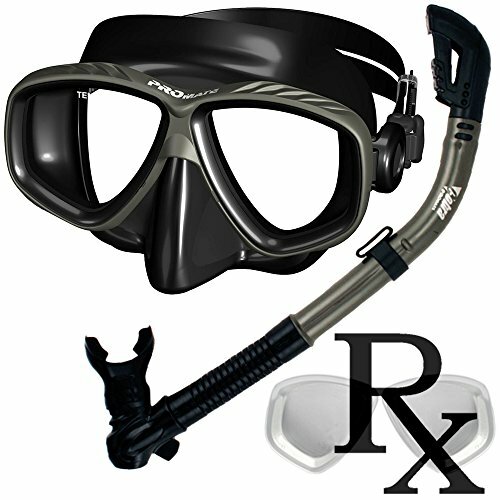 Another excellent alternative to the TUSA is the Promate Prescription Purge Mask and Snorkel. It features a half mask design but also comes with a snorkel which is ideal for those with a beard. There are multiple colors available, and the lenses can be adjusted to your prescription. This includes both nearsighted and farsighted prescriptions. The biggest difference from the TUSA is that this is more of a slim design, which some tend to prefer because of less weight and pressure around their neck and head. 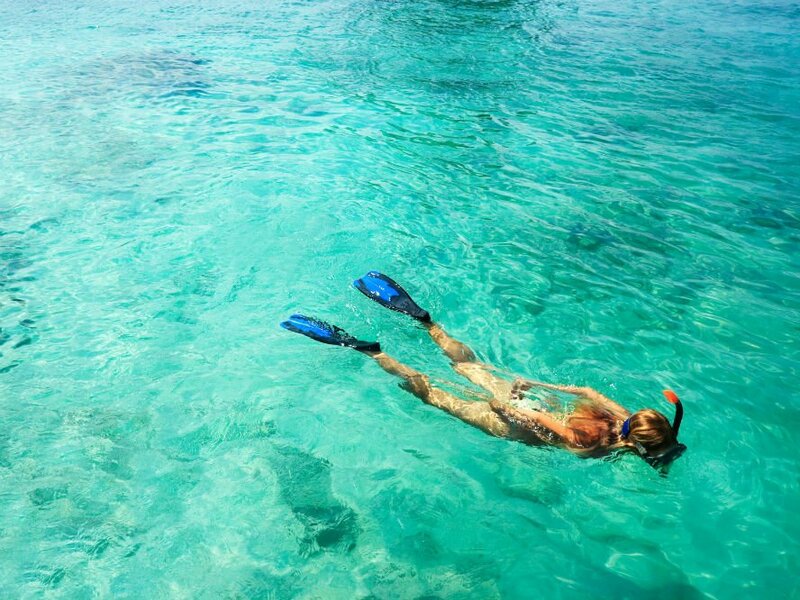 The added snorkel also comes in handy when you want to be underwater for more than a second. 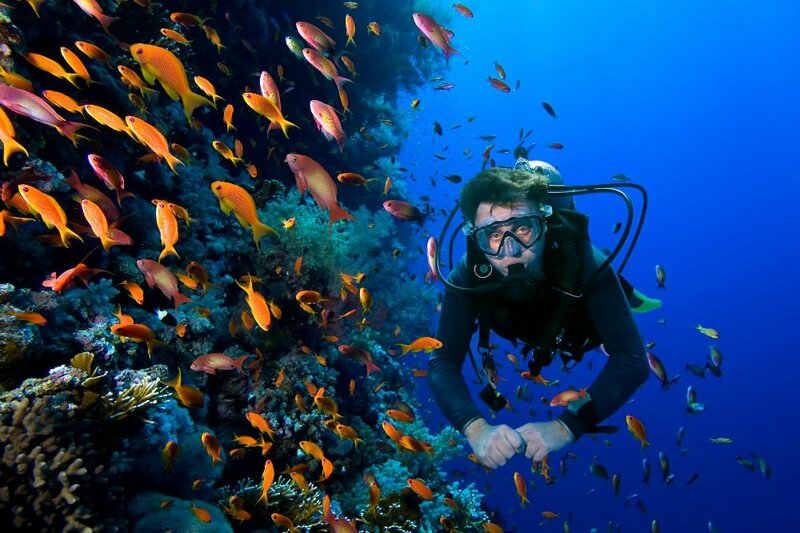 Just because you want to go diving doesn’t mean you’ll have to shave off your beard. Facial hair can take a long time to grow and style, and shaving it for a one-day activity is a waste. Instead, find gear that can work around your facial hair. 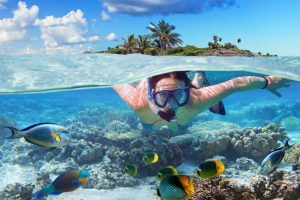 There are plenty of different types of scuba masks, which ensure that you’ll find the best scuba mask for beards. If you’re looking for a scuba mask that does it all, then we’d highly recommend you give the TUSA TM-5700 Liberator Plus a try. If you have a mustache, beard, or a full face of hair, this mask will definitely give you full protection.